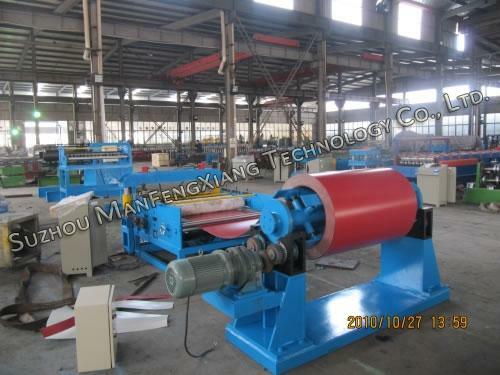 Simple slitting machine is a member of metal coil and sheet slitting line. 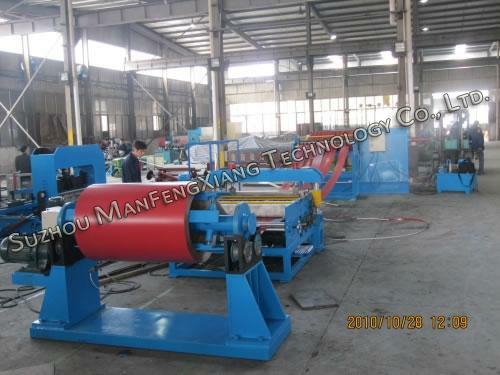 The whole slitting line is mainly composed of uncoiler, feeder, slitter and recoiler. 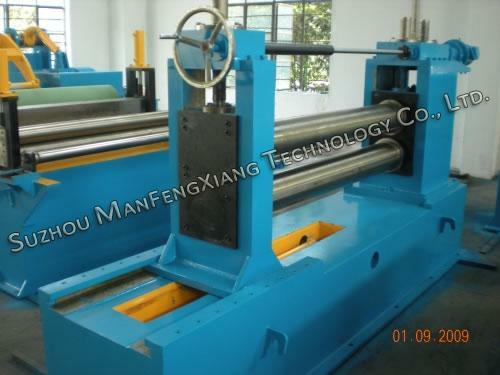 This line is suitable for cutting or shearing Cr12 forged steel coil and sheet. 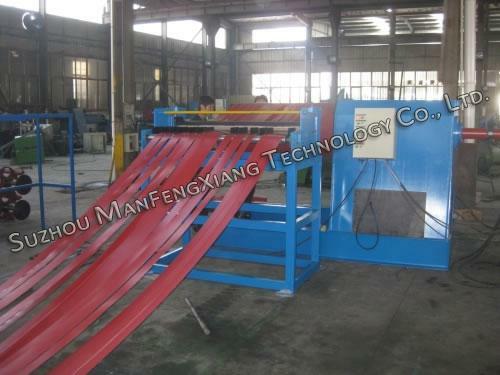 It cuts the steel coil or sheet to needed width through a successive progress, such as uncoiling, slitting, recoiling, etc. 1. Hydraulic slitting technology is adopted to make cutting simple and easy. 2. Japan OMRON PLC control system is imported to achieve high automation. 3. This metal slitting machine is suitable for slitting coil and sheet with thickness range from 0.3mm to 1.0mm. 4. 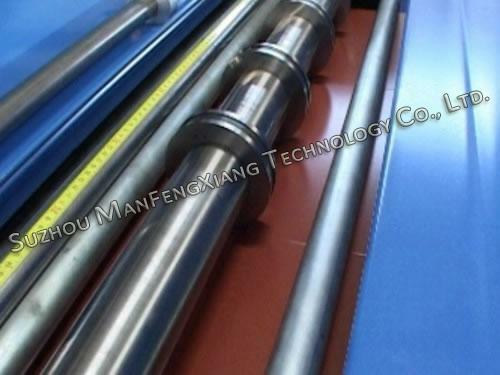 Slitting speed can be adjusted according to production requirement. As specialist tube mills and roll forming machine manufacturer in China, we produce a complete series of machinery products which are widely utilized in construction industry, especially for factory building, warehouse facilities, store facilities, etc. Besides tube mills and roll forming machines, other machines including uncoiler, stacker, hydraulic guillotine shearing machine, CNC hydraulic press brake, slitting line for metal coil and sheet, etc. are also manufactured by us. All our products are featured by high accuracy, easy operation, convenient maintenance and high efficiency. Welcome to visit our company, see first class fabrication facilities and discuss your needs face to face.